Chicagoland’s Dior Builders recently partnered with the American Lung Association (ALA) Health House program to create the first home built under the association’s revised Health House guidelines. Dior, known for its green building initiatives, designed the luxury home in Inverness, Ill., with the help of a team of indoor air quality and environmental health experts, including Marilee Nelson, Oram Miller, Andy Pace and others. Under ALA’s guidelines, Healthy Home 2018 features energy-efficient appliances, innovative technologies, green building materials, and nontoxic furniture. The Healthy Home program was founded in 1993 by the American Lung Association to address growing concerns about air quality in homes. According the EPA, indoor pollutants can be two to five times higher than those found outdoor. The average person spends approximately 90 percent of their time indoors, exposed to toxins that could trigger lung conditions such as asthma. The program’s most recent guidelines were updated in 2014. 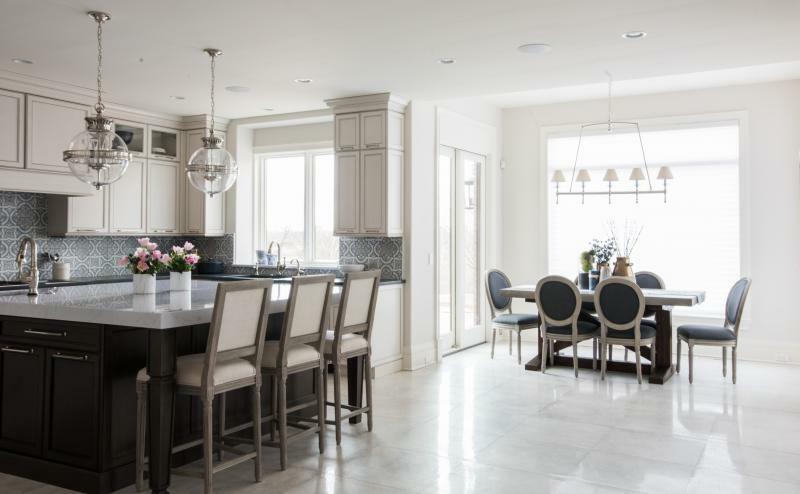 Victoria Di Iorio, a member of Dior Builders and the founder of Healthy Home Initiative, understands that every residential project can’t meet such comprehensive standards. But she hopes Healthy Home 2018 will be an example of what’s possible when it comes to building homes for better air quality. “We can’t all do everything, but we can all do something,” Di Iorio said at the home’s opening event. For inspiration, here are 14 air-friendly products found in the Healthy Home. 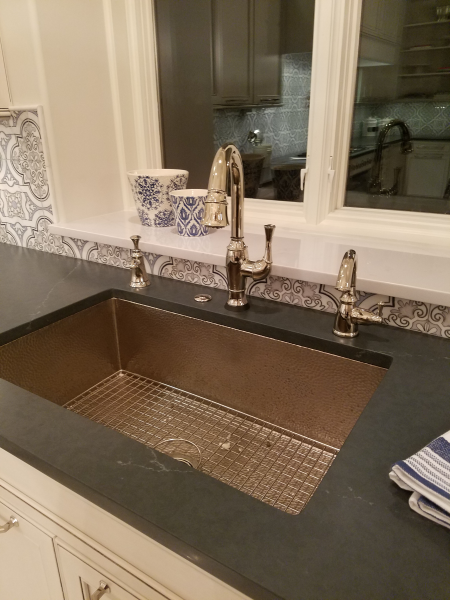 For the kitchen surfaces, designer Kedra Pai chose two colors from Silestone’s Eternal collection, a Charcoal Soapstone in a suede finish for the perimeter and the lighter Statuario for the island. Both surfaces feature the brand’s N-Boost technology, which resists stains and keeps the surface shiny, the company says. All Silestone products are made with a mix of natural quartz and other natural elements, creating a non-porous surface that is naturally bacteria-resistant. Providing both traditional and modern looks, Executive Cabinetry claims to be the only Greenguard Gold Certified cabinet manufacturer in the industry. The company has No Added Formaldehyde (NAF) plywood available, and all products use a waterborne finish to capture or eliminate chemicals before they are released into the air. The company is also a part of the Forest Stewardship Council, which promotes responsible forestry practices. Di Iorio specified a whole host of Gaggenau appliances for the kitchen. From the brand’s 400 and Vario 400 series comes the 30-inch single oven, 30-inch steam oven, a teppan yaki, warming drawer, gas cooktop, 30-inch refrigerator and freezer columns, and coffee system. The home also includes a 200 series Gaggenau dishwasher and a wine refrigeration column for the basement bar. Gaggenau says their appliances are made with only the highest-quality materials, ensuring that they are long-lasting even with repeated wear and use. The Healthy Home uses natural stone from Artisan Stone Tile for the kitchen and baths. 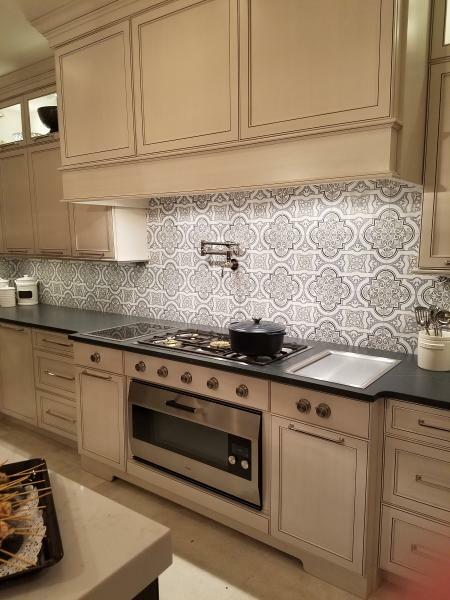 The manufacturer offers flexibility to create custom patterns and colors, such as the Lena pattern in a custom navy on the Healthy Home kitchen backsplash. Di Iorio also chose the Ventana pattern in navy and the Parasols pattern in gris for two of the baths. Cocina 33 is 33-inch textured kitchen sink made from a single element. The eco-friendly product is made by artisans from hand-hammered, recycled copper. The sink has a ten-inch depth, is available in both brushed nickel and antique copper finishes, and comes with a lifetime warranty. Brizo is an EPA WaterSense partner with a number of eco-friendly faucet solutions. 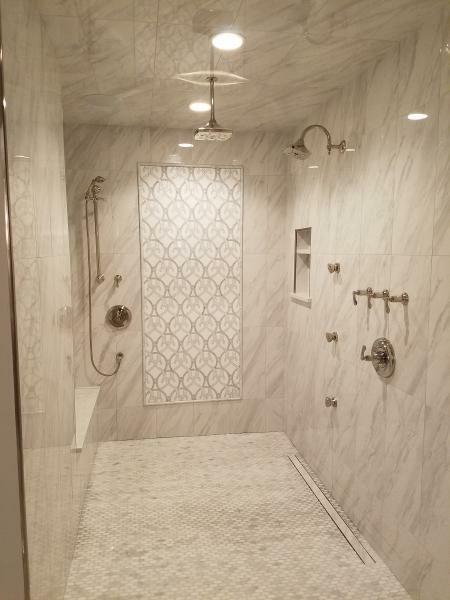 The Charlotte showerhead, as used in one of the upstairs bathrooms, uses the brand’s H20Kinetic technology, creating a fuller shower spray with less water. Di Iorio also chose Talo collection kitchen faucets and placed Rook collection lavatory faucets in several of the home’s baths. The Perfect 16 whole-house HEPA filtration system has a perfect 16 MERV rating according to ASHRAE 52.2 industry standards. The silent filter partners with home HVAC systems to clean air without any power usage delivering continuous medical-grade air throughout the home. The system must be installed by a trained professional, and filters have an average life of three years. All toilets in the Healthy Home come from TOTO and comply with the EPA’s WaterSense criteria, including flushing with 1.28 gallons or less and meeting third party testing requirements. 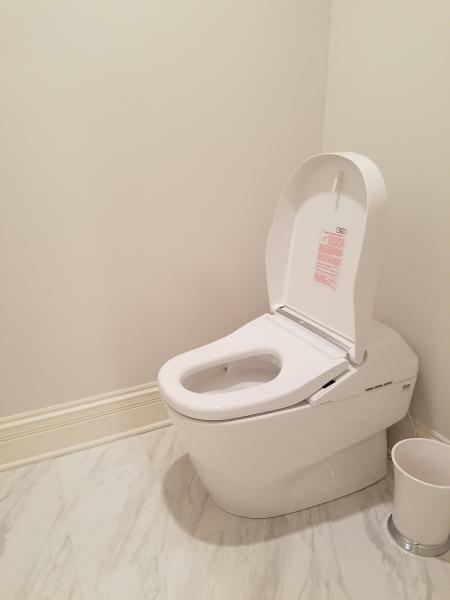 Toto toilets also feature the brand’s Tornado Flush and a slippery CeFIONtect glaze, which prevents debris from sticking to the bowl and reduces the need for cleaning. 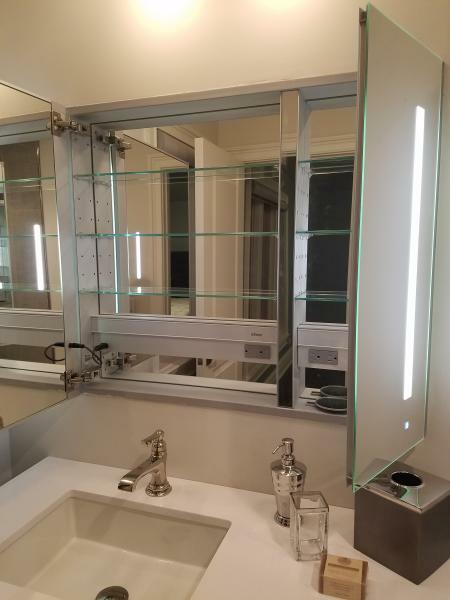 An AiO medicine cabinet with a lighted mirror was specified for the home’s upstairs bathrooms. It features one-touch task lighting, an audio system, and integrated outlets and USB charging ports. The ​72-inch by 20-inch single-sided fireplace in the first floor living room ​features the company’s Safe Touch Glass, a double-pane system that keeps the surface at low temperatures. The custom unit also features multi-colored lighting with a driftwood log set. The fireplace has zero clearance to materials outside the unit, meaning Di Iorio was able to use natural wood interior trim details instead of a non-combustible composite material. The Hunter Douglas window treatments chosen for the Healthy Home filter out more than 80 percent of harmful UV rays from the sun. The company’s silhouette shades, used on the home’s first floor, obscure the outside view into the home while allowing diffuse sunlight to pass through. Pirouette shades, chosen for the second floor bedrooms, can be tilted open and closed and are available in semi-opaque and room-darkening fabrics. Both are available in multiple colors and materials. The house features low-v connected home controls from Elan that can run without Wi-Fi. Shireesh Reddy of Digital Living says this system was designed to allow homeowners to avoid constant electromagnetic radiation from internet systems without losing smart home functionality. Gold Bond High Strength Lite gypsum board from National Gypsum Company is GREENGUARD Gold for its low levels of chemical emissions. The board is 25 percent lighter than the company’s original high strength board, and can be used on both walls and ceilings. It is sag-resistant and produces less dust than other products, the company says. Rockwool insulation is made from trap rock and recycled blast furnace slag that has been melted down and spun into a fiber. The material is denser than air, ensuring that particles will not be airborne in the home. Because it is made from an inorganic material, the insulation is also insect-, mold-, and fire-resistant.